Decorating a bedroom is a task quite different from planning for the rest of the house. 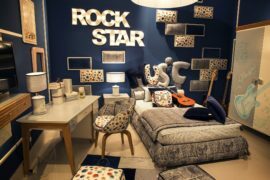 Unlike the kitchen and the living area, a bedroom is a private haven for rest, relaxation and of course, a bit of fun! And, it is the one room in your house that truly reflects your tastes, choices and who you are as a person. Decorating a small bedroom is as much fun as working with one that is blessed with ample space. In fact, for those with a hint of creativity and knack for pulling out the ingenious, it gives a much better opportunity to showcase their imagination and style. This is a piece of advice that would have started with your mom shouting it out to you since you were five and even after all these years, it is absolutely true. There is simply no substitute for a clean, clutter-free look of a room. 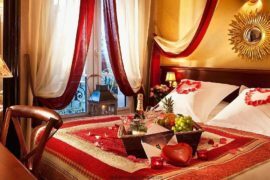 But, in the case of decorating a small bedroom, it is much more than just doing the bed and folding the sheets. (Though, that helps too!) Small bedrooms look visually more appealing when things are organized and kept at a minimum. Embrace minimalism – Less is more! Do not overwhelm your bedside table or the dresser with a large display. Keep things tucked away nicely and also do away with the unnecessary décor that you rarely use. 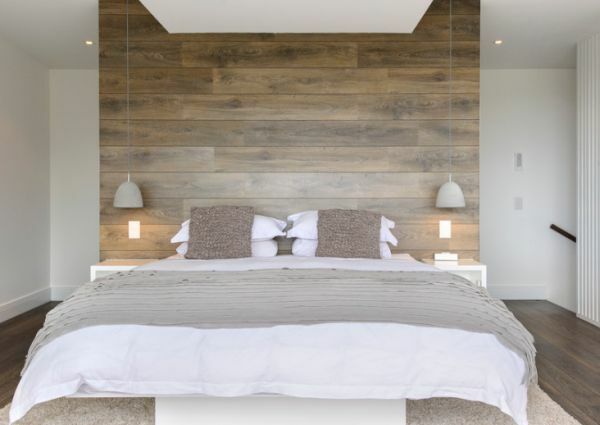 When it comes to small bedrooms with contemporary style, less is indeed more! 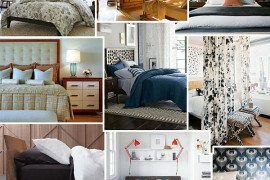 Visual harmony is the most important factor in decorating a small bedroom. It defines the form factor of the space and gives you a sensation that you have just stepped into a bedroom that is far larger than it really is. Using too many colors creates visual fragmentation and can diminish the look of your bedroom significantly. In simple terms, do not use more than three colors. One neutral shade for the backdrop and two accent colors at the most, should do the trick. Use the accent colors in multiple areas using subtle décor and fabric additions. This creates a symmetry that is appealing, while enhancing the refreshing aura of the room. Pristine white or cool grey on the walls coupled with some lovely throw pillows works every time. As always, lighting is indeed the key that opens the path to a stylish, fresh and fabulous bedroom atmosphere. While large bedrooms might be able to sneak away with a poorly-lit corner somewhere, it simply will not fly in case of compact bedrooms. A bedroom design that incorporates large windows to help usher in ample natural light is an ideal start. For those who cannot tap into natural light, an array of artificial lighting is the best alternative. Combine recessed lighting with smart pendant lights and lovely sconces to facilitate uniform illumination. Since, we are talking about decorating small bedrooms, stay away from floor lamps and table lamps that take up much-needed space. We talked about creating an uncluttered look and the key to achieving this is by adding stylish and trendy storage units. Shelving units on the wall and a beautiful wardrobe obviously make up the basics. You can go beyond this by being creative. Woven wicker baskets are an addition that we love as they not only provide ample storage, but also add textural contrast to a modern home. The soft, natural fibers instantly make your bedroom far more relaxing. Bedroom benches, ottomans and side table that have concealed storage units also come in handy. Storage solutions double up as bedside stand! When a master of Mid-Century Modern classics gives a piece of advice, it pays to listen. Creator of the sleek Tulip Series of furnishings, Eero Saarinen summed up his design as an effort “to clear up the slum of legs in the US home”. 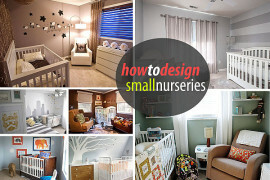 It is an approach that works superbly in case of creating a space-conscious bedroom. Try and eliminate anything that takes up too much legroom. Pendant lights, sconces, floating shelves and smart décor that can be attached to the wall directly assist in maximizing the floor footprint in your bedroom. This is an Achilles heel for most of us as we often tend to decorate in various phases. If you have a small space, then use small décor items that fit into the scale of things. Do not combine a relatively small bed with a very large side table or a huge cabinet simply because they look good in the store! Try and avoid buying impulsively next time you visit the furniture shop. Proportional beauty is essential in creating a chic and beautiful bedroom. And often, it just takes one ungainly furnishing to disturb the entire spatial harmony. Space does not mean only the square footage of your bedroom. Use all that space offered by your walls in a careful manner. You do not want to surround yourself completely with shelves and accessories. That could quickly turn the already small bedroom into a claustrophobic setting. Instead, while picking storage units, use shelves that go all the way up to the ceiling. This saves up on legroom and you can stash away the stuff you use less frequently in the top shelves. One of the recent trends is to add a sophisticated striped pattern to an accent wall. Give this cool idea a shot and you will not only fashion an illusion of a larger room, but also one that is far more refined and elegant. A small bedroom in no way means one without a clear and distinct focal point. 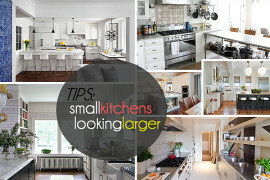 On the contrary, a diminutive space can actually benefit a lot more from a singular focal point. Since we are talking about bedrooms, your bed is the natural choice. It is best to keep things that way and not disturb the scheme by trying to cram in a large entertainment unit. If anything, we would suggest not to have a television set at all in the bedroom. But for those who still want one, always pick a flat screen model that is wall-mounted and disappears with ease into the background when not in use. Make the bed a show stopper! Invest in a beautiful bed that shouts out opulence and class. Gift yourself some extra comfort while giving up on some unnecessary accessories. 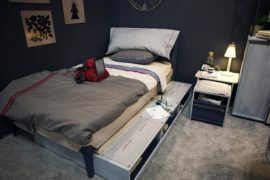 Platform beds are a great choice for small bedrooms thanks to their low design and their seemingly levitating form. 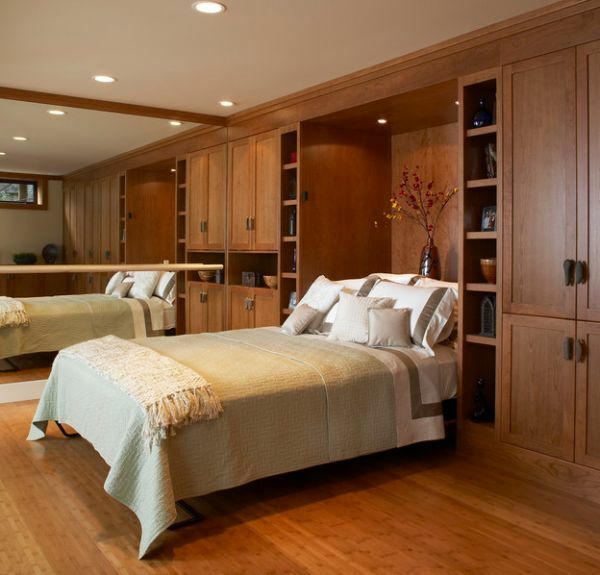 Murphy beds tend to bring a whole lot to the table as well. Glass is a smart addition to compact rooms. Its transparent nature means that you can create partitions and shelves without actually taking away from the visual space. Glass adds a sense of openness to the room that other materials find hard to match. Add a lovely mirror to the bedroom and it not only makes the space roomier, but also helps spread the light around in a better fashion. Mirrored surfaces and bookcases with glass doors are also a welcome addition. If you are big on following feng shui, just use a curtain to cover up the mirror when in bed. That sounds like a trait that is easy enough to acquire and yet in reality, it is a far more difficult job than one thinks. We are always tempted to add more and with changing seasonal trends, décor patterns and arrival of fancy new furnishings, the bedroom just fills up. It is best not to go overboard with every new trend that hits the market. Get rid of everything you do not LOVE. (That is actually a good rule for the bedroom, even beyond the materialistic assets!) Do not feel obligated to keep any stuff around that you actually do not use. Enjoy the coziness offered by a small bedroom. 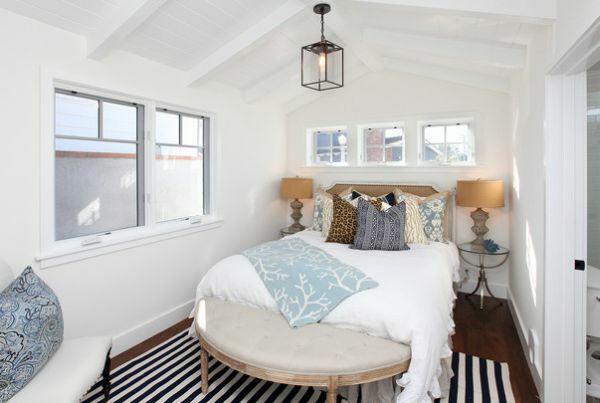 Having a lovely little bedroom is far better than having a large bedroom with generic design and an impersonal style. Give these decorating tips a shot and you will notice that is not always about the size of the room, but what you do with it that truly matters!